One of the key strengths of an ERP system is the integration of business processes which begin with the contact of a potential customer. 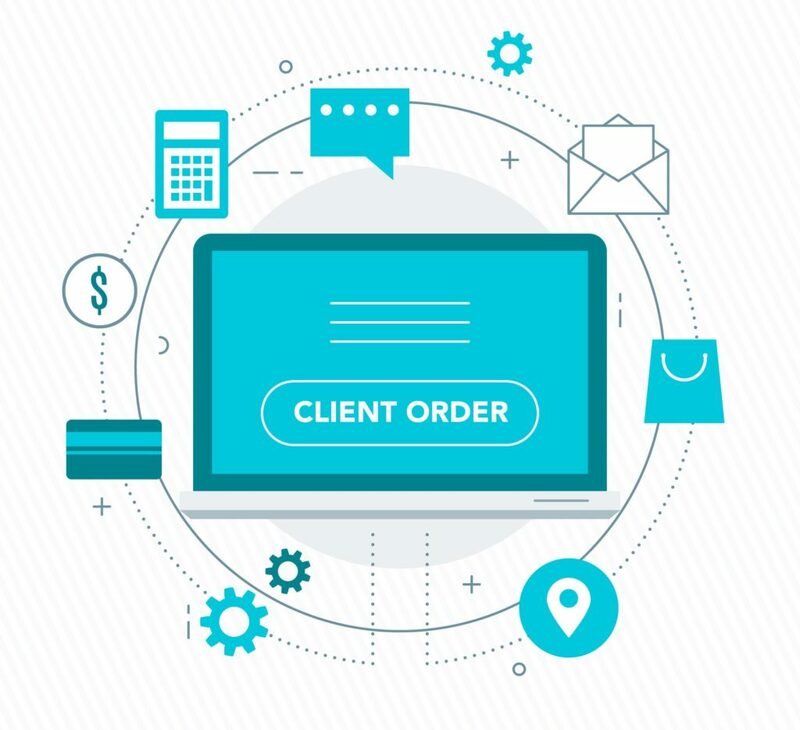 The process of client ordering is at the heart of an ERP system which helps to record the order and shipping information while integrating with material management to control the inventory and flow of cash. This provides details for measuring the profitability of operations and production planning which ensure an economical flow of goods to inventory and clients. The process of entering a Client Order in SapphireOne ERP system begins with navigating to the client order screen from Sales menu in Inventory mode. Select your customer by typing their name in the Client ID field, this will populate details automatically which are drawn from the Client’s master file – delivery address, mail address, contact person etc. These details may be updated on the fly or modified for individual orders. Enter the requested delivery date, client’s purchase order number in the Tracking section, then add the line items required into the Transaction line area, here you can select a particular rate and discount for specific customers. On the custom screen you also have the ability to enter different delivery dates for each line item. When the order is entered you may then print or email a picking slip. All these functionalities are accessible from Sales menu of the Inventory module within SapphireOne. Watch and learn the process of entering a Client Order by simply watching the video below. The Client Order is the second data entry item located on the Sales menu in the Inventory mode of the SapphireOne ERP, CRM and Accounting Software solution.